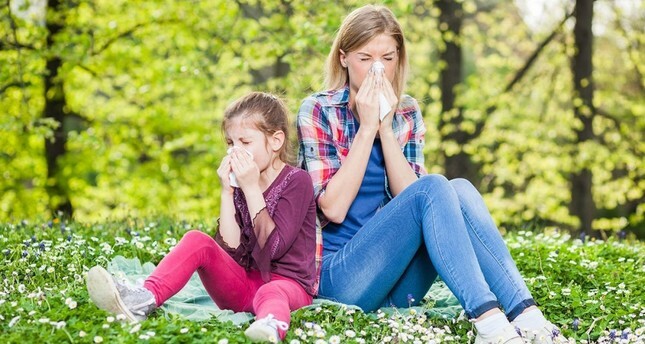 The General Directorate of Meteorology and Ege University have selected western Turkey's İzmir as the pilot area for their joint "Pollen Allergy Agenda Publishing Application" project. As part of the project, pollen samples are collected weekly with devices installed at Ege University Bornova Campus and the Second Regional Directorate of Meteorology. These samples and weather forecasts periodically received from the General Directorate of Meteorology during the day are evaluated with the help of a decision support system developed by the university. The project then calculates the daily estimated pollen exposure risk for asthma and allergy patients. Thanks to the new application citizens will now know the risk of pollen for specific areas and days so they can prepare accordingly. Predictive information on meteorological parameters affecting the movement and spread of pollen in the atmosphere, such as precipitation, humidity, temperature, wind direction and velocity, are collected and used in the application. Previously announced in-house, pollen warnings have been shared with citizens, as well. The warnings will be published on the web sites of General Directorate of Meteorology and Ege University. Within the scope of warnings, detailed information about the condition of trees and shrubs, weeds and meadow pollen will also be included. According to the system currently, there is a high risk of pollen for mulberry, pine, oak, sycamore and eastern pellitory-of-the-wall plants while this risk is at a medium level for meadow pollen in the research area. The coverage of the application will be extended to cover other provinces in the future.